The Academy for Temple Studies and the Utah State University Religious Studies program have announced a conference entitled “The Lady of the Temple: Examining the Divine Feminine in the Judeo-Christian Tradition.” It will be held on October 23, 2013 on the campus of Utah State University. Speakers will include Margaret Barker, Laurence Hemming, William Dever, Alyson Von Feldt, and Valerie Hudson. You may see more details and register for the conference at the Academy for Temple Studies website. Those who attended the Logan conference will receive a copy of the book as it was included in their registration. If you did not attend the conference, you may also order a copy for $20. 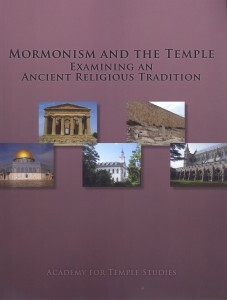 Currently, the book can be ordered from BYU Studies at 801-422-6691, or at 1063 JFSB BYU Provo 84602. At some point it may also be available for ordering online. Videos of the proceedings are available for viewing online here.